Not sated by being the backbone of two bands concurrently, Jack White managed to start a third. In The Dead Weather, he sets his ax aside and gets behind the drum kit, letting Alison Mosshart of The Kills sing lead. Still, you'll hear plenty of him on Horehound. There are a few reasons for this: 1) Much of the album involves backing vocals, which he is supplying; 2) His voice tends to cut through hers when they sing in unison; 3) They both have backgrounds in bluesy garage rock, so their singing styles are similar (which makes it easier for his vocals to sneak to the front). Dean Fertita of Queens of the Stone Age (guitar, keyboard) and Jack Lawrence of The Raconteurs (bass) fill out the lineup, and Fertita's organ runs lend a '70s feel. 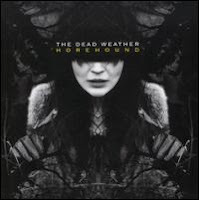 Dark boogie blues are the focus of Horehound, which teems with seedy characters and outlaws. There's even a pony named Lucifer. Whether it's the grinding buzz of first single "Hang You From the Heavens" or the scrabble of sticks in "60 Feet Tall," Horehound delights in its seaminess and foreboding. On "So Far From Your Weapon," Mosshart groans out, "I tried to give you whiskey, but it never did work / suddenly you're begging me to do so much worse." White echoes the lines, clearly feeding on the suspense. Now, has he had his fill, or are The Dead Weather just whetting his appetite? The fourth album by Manchester trio Doves amalgamates their distant past, near-present and ... parallel universe past? Sci-fi excursion "Jetstream," an homage to Vangelis and the 1982 film "Blade Runner," evokes Kraftwerk with its atmospheric synths and shooshing hi-hat patter, drummer Andy Williams striking with metronomic efficiency. "We always wanted to write an imaginary song for the closing credits," the band wrote on their Web site in late January when they gave away the song as a prerelease. "Jetstream" doesn't really fit with the rest of the album, though Kingdom of Rust is their most varied one to date. "Compulsion," with bass flapping like baggy pants, is the kind of song they used to bust out in the early '90s as Sub Sub, their pre-Doves incarnation. 'Course, one difference is that in those days, anthems weren't their calling card. 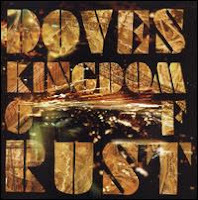 Kingdom of Rust, like each Doves album before it, finds consistency and strength in Jimi Goodwin's vocal melodies, which soar conspicuously through every track. Even though they never would've worked for "Blade Runner." 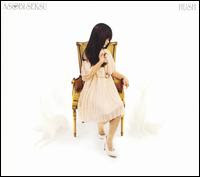 Hush doesn't possess the verve of 2006's Citrus, but at least Asobi Seksu were up front about that. Instead, it gives their chiming guitar pop a slightly mild tenor that takes a few listens to appreciate. 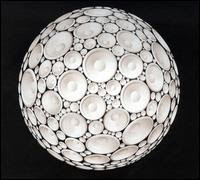 "Layers," chaste and dainty in its glimmering, is the clear standout, and a faster approach likely would have unspooled it. Overall, Hush is very similar to Citrus in dynamics and song structure, so anyone who enjoyed it would almost certainly find Hush appealing. The main difference between the releases, aside from the obvious fact that they're comprised of different songs, is that Hush seems to have a diaphanous film over it, whereas everything on Citrus snapped with crisp and masterful reverb. This production choice might help unify the album, but it does slightly restrain uptempo moments and crescendo passages. When Yuki Chikudate is oh-oh-whoaing to infinity on "Transparence" and the drum kit is taking a beating and James Hanna's guitar is surging ... it never quite takes off. The track's still lovely, but after tasting the sky, you don't feel the same way about the ground. 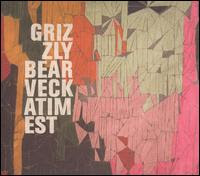 Altogether more complex than its nearest predecessor, Veckatimest pulls Grizzly Bear out of the Yellow House and into a larger setting. New environments can open the body to bombardments of stimuli, and this album feels like a representation of that. Melancholy has the edge, although the chipper "Two Weeks" --- chortling Rhodes, irrepressible high notes, glorious harmonizing --- is apt to temporarily blind you with cheer and fool the memory banks into believing it carries more weight than a single song. 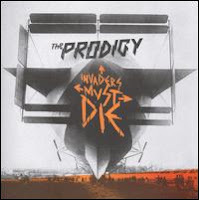 The title confirms the band's continued intimate relationship with place: in this case, an island off the southeastern coast of Massachusetts. And while they didn't record the album there, they did do some recording in nearby Cape Cod. The word "veckatimest," previously unknown to most of the band's audience, imparts some mystery. The island is not listed in the 2008 U.S. Census; the band says it's uninhabited. But if a terrain is uninhabited, can it really be known? Veckatimest, with its tangle of moods, poses the same question. a cappella with the guys blending notes, the guitar flitters restlessly. A minute in, it booms its presence, foreshadowing the weighty show of force to come. The song ends with half a minute of roiling: cymbals crashing, bass shuddering, a guitar ordered to trench like grunge never died. Even with the smaller temblors earlier in the song, the display is unexpected, and halting at first. Swats between rounds of pretty warbling. Similarly surprising, the lusty sax that cries out before the first chorus of "I Live With You" delivers a beguiling smacker before it scoots out the door. The tone here is part plea, part lament. "And they'll try," Dan Rossen sings, "they'll try. They'll try / to keep us apart." He later shifts from "they" to "you," as though he's putting a face on an enemy. And there's a warning embedded: "You brought us this far / We'll do what we can." Duo crashes of guitar and cymbals unshroud the resentment in the lyrics, and the noisy contractions imply both internal flagellation and a stifled anger breaking free. one, so that the innocent "Cheerleader," featuring the Brooklyn Youth Choir, could occupy the same space and never have to see the torment on the shadowed side. Surely, with its cautious gait, tottering drums and bass, and demure vocals, it would be scarred for life if exposed to such paroxysms. Founder Ed Droste speaks of a pattern on "Foreground," but as the delicate piano prepares the guestroom for the choir, the shape of Veckatimest remains equivocal: "Take on another shift / Palms in the middle, hands in the middle / Work out another rift / Something is muffled, another juggle / This is a foreground / It is a foreground." Somewhere in there, there's a background, too.